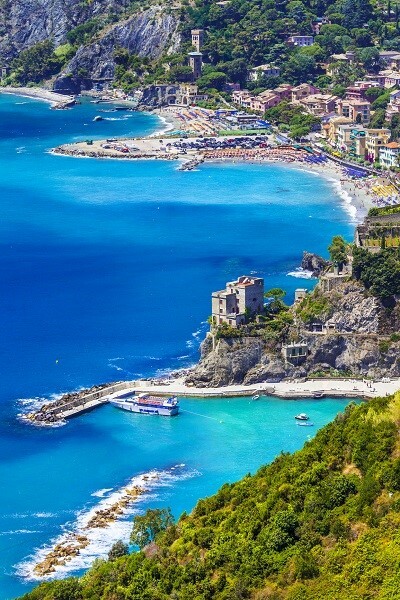 The region of Liguria is also known as the Italian Riviera and is well marked as a major tourist spot with famous resort towns sprinkled among fishing villages and rocky coastline. 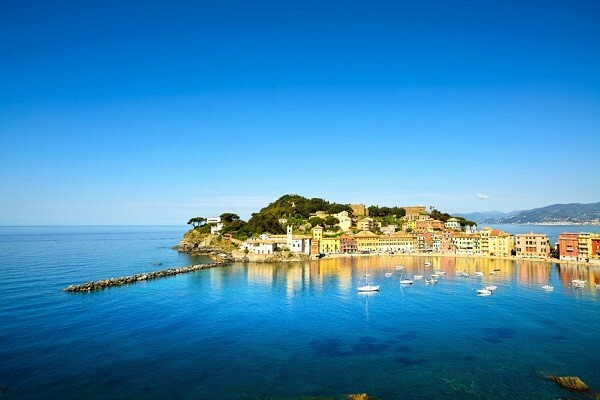 Liguria occupies a thin stretch of coastline from Italy’s western border with France, following the Mediterranean coastline south and east to its border with Tuscany. To the north and east, coastal mountains separate Liguria from Piedmont and Emilia-Romagna. This unique geography of mountains and sea has produced a climate and landscape that you would expect much further south in Italy. Palm trees, citrus fruits and olives share the terraced growing space with Liguria’s famous flower industry and more common northern species like chestnuts. Liguria is separated into two “Rivieras”, the Riviera di Ponente to the west and the Riviera di Levante to the east, with the Ligurian capital of Genoa separating the two. In the past, the Riviera di Ponente was the more famous side, with famous resort towns like Sanremo, however writers, artists and tourists alike have discovered the jewels of the Riviera di Levante such as Portofino and the Cinque Terre. Liguria’s isolated coastline has been occupied since the 5th century BC by the fiercely independent Ligurian peoples first, and the Romans after. The former did not take to Romanization for many centuries, with small enclaves like the Cinque Terre never really truly conquered by Rome. After the fall of the Empire the region was ruled by Byzantine and Lombard factions, however Liguria’s inaccessibility by land led to a level of autonomy that was always at risk from invasion by Saracens, Normans or Pirates. By the Middle Ages, Genoa ruled the entirety of Liguria and was a powerful Maritime Republic, in many ways more powerful than its rivals in Pisa and Venice. It was in these wars with Venice that Marco Polo was captured, and dictated his adventures while in a Genoese prison. Eventually, Genoa would falter and lose most of its power but not before a brief revival under the rulership of Admiral Andrea Doria. Liguria was later annexed by Napoleon and given to the House of Savoy after his final defeat. This loss of independence led to Ligurian patriots like Mazzini and Garibaldi (the former a Genoese, the latter from the Savoy city of Nice), helping to start the Italian Risorgimento, their final goal of the modern nation of Italy. 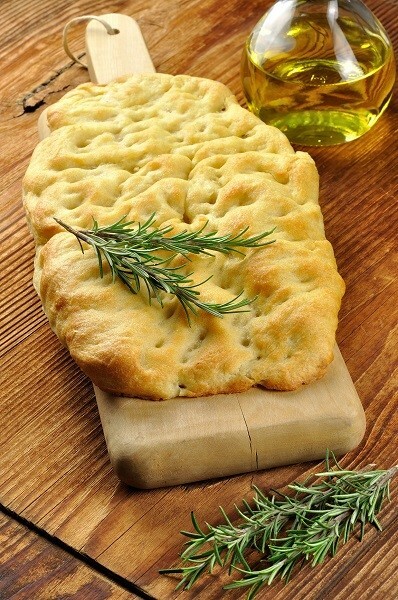 The food of Liguria is representative of the area’s unique climate, and its characterized by many ingredients that would otherwise be considered “southern”. The abundant use of garlic, olive oil instead of butter or lard, and tomatoes is more reminiscent of southern cuisine than of that of a place closer to the Alps than to Naples. The most famous of all culinary masterpieces from Liguria is its basil Pesto sauce, served with either Trofie (favored in Cinque Terre) or Trenette (favored in Genoa) pasta. Wheat, chickpeas and chestnuts are all used to make flour for both breads and pastas. The olive oil of the region is known as Olio di Oliva della Riviera Ligure and is protected by a PDO designation. Seafood plays a large role in the local diet, with fresh caught anchovies being a favorite antipasti or main dish. Swordfish, tuna, sardines and sea bass are also popular fish. 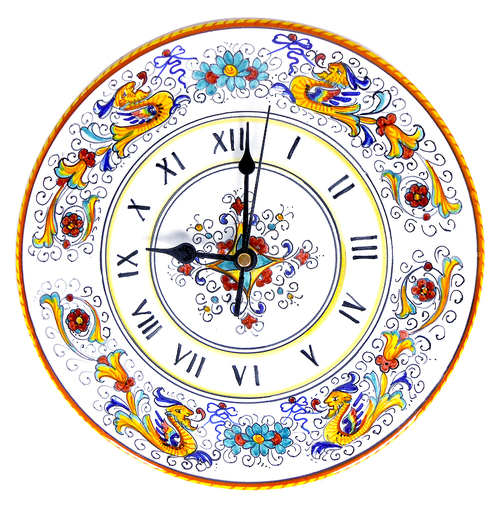 Rabbit and veal are found in popular meat dishes including tomaxelle (veal rolls) and coniglio in umido (rabbit stew). The rocky coastline of Liguria does not give much room for cheese production, but imports from other regions of Italy have been incorporated, most notably the use of Parmigiano-Reggiano for the making of pesto. Sheep’s milk pecorino and ricotta are also used. Ligurian desserts include the pandolce Genovese, a sweet bread made with candied fruit, raisins and nuts, and sweet pizzas made with walnuts, chestnuts and candied fruit. The wines of Liguria are tailor made to suit the region’s cuisine, some grown within spray-shot of the region’s crashing waves. Reds include the fruity Rossese di Dolceacqua (DOC), a Dolcetto known as Ormeasco, and an amazing dessert wine, the Sciacchetrà Rosso. The white wines of Liguria are rightly praised as some of the most unique, with the dry Cinque Terre and sweeter Sciacchetrà (both DOC) being very popular and excellent with any seafood. The straw-yellow and very aromatic Colline di Levanto (DOC) is just being discovered by wine lovers outside of Liguria. Spirits range from the citrus based Limoncello Ligure to walnut-infused Nocino and the ever-popular Grappa, still made at home in many areas of Liguria. The city of Genoa (Genova) is often overlooked by travelers to Liguria due to its reputation as a busy commercial port and nothing else. This view is utterly wrong, as Genoa is rich with history, art, wonderful sights and excellent restaurants that make it worth a daytrip, or a base for exploring the Italian Riviera. 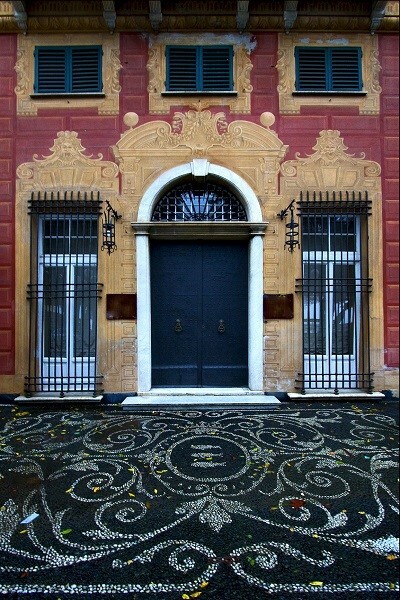 Genoa’s sea prowess is well documented with vestiges of its maritime past, such as the house of Christopher Columbus, as well as numerous decorated palazzi and merchant homes along Via Indoratori and Via Orefici. Genoa’s striped Duomo is home to numerous saintly relics, another testament to its trading empire. The harbor has been rebuilt after World War II and is still busy, attesting to Genoa’s continued mercantile success. The harbor is also home to Europe’s largest and most popular aquarium, which continues to expand long after its creation for the World Expo of 1992. Numerous cruises of the Ligurian Coast depart from Genoa, offering views that will make travelers rethink their opinions of this beautiful city. 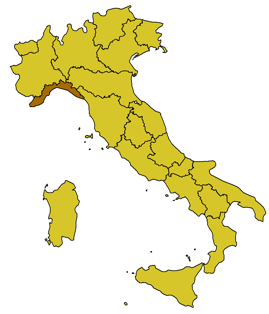 The area of Liguria stretching from the French border to Genoa is known as the Riviera di Ponente. It is this area that is known for its vast production of flowers, especially roses. A modern road that follows the ancient Via Aurelia hugs this beautiful coastline and connects many of the small fishing villages and resort towns that are must-visits. Sanremo is the most famous among the towns of the Riviera and is home to a famous Casino, a charming medieval center, elegant old hotels and a popular music festival. Imperia is actually two separate towns: the touristy but very charming Porto Maurizio and the more industrial (but still worth visiting) Oneglia. 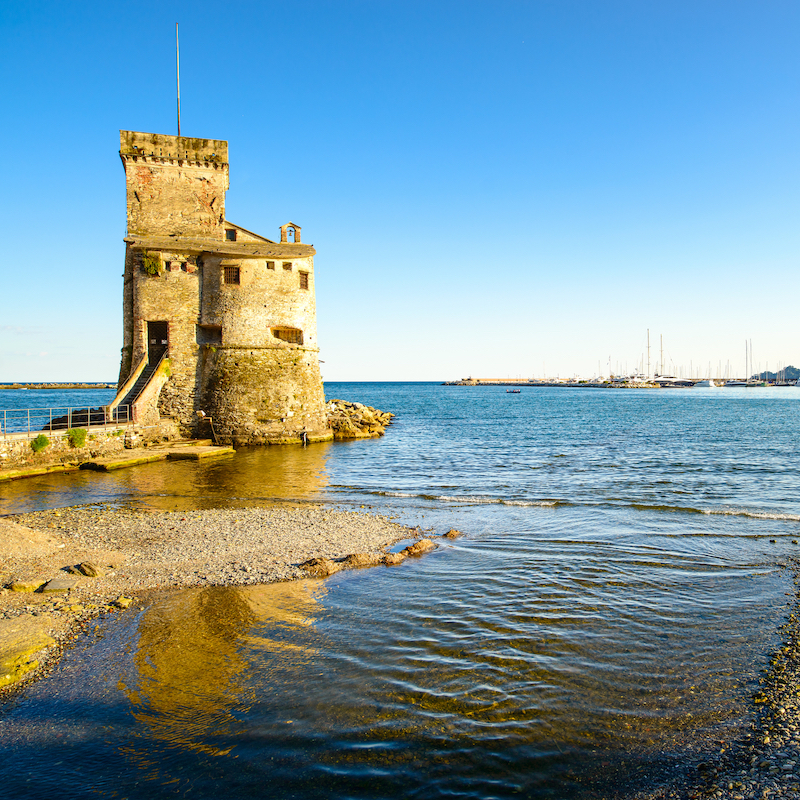 Savona is a well known port that also contains some worthwhile stops including a well known art museum. 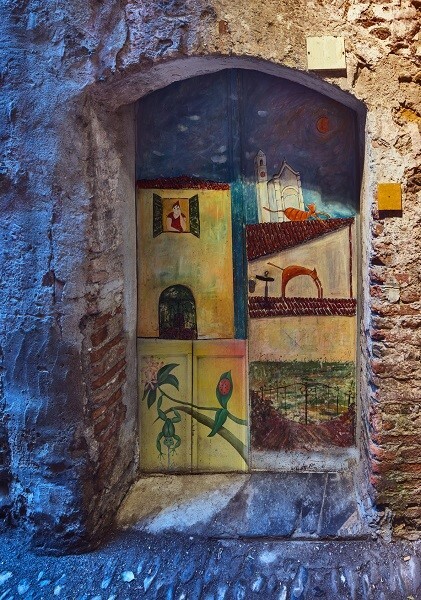 Away from the coast are many hill towns stretching from Sanremo east to Albenga that may demand an extended stay or a revisit. The coast of Liguria from Genoa to La Spezia is the less developed and more dramatic Riviera di Levante. Home to sheltered coves, cliff-hanging terraces, natural harbors and a few beaches, the Riviera di Levante is no longer as isolated as it once was and is now well known to travelers. 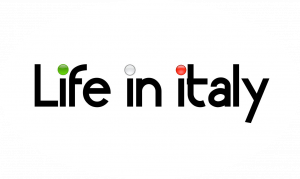 The area holds a little of everything: quaint fishing towns like Bonassola, medieval hill towns like San Salvatore, artist and celebrity meccas like Portofino, pleasant resort towns like Rapallo and even the major port of La Spezia, which has a beautiful harbor and sights worth visiting. The gem of the Riviera di Levante is the no longer secret Cinque Terre – five formerly isolated villages, four of them perched upon the rocky coast. 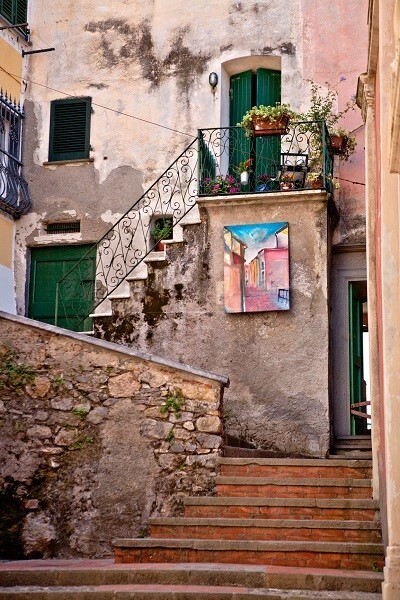 The coastal path connecting the villages, once the only way to reach the Cinque Terre takes hikers through steep terraced cliffs full of vines and olive trees on the way to breathtaking vistas of the Ligurian coast. In the summer, the entire Riviera di Levante is packed with tourists, however a visit in late September rewards the traveler with warm weather, cheaper prices, and villages full of locals – not tourists.